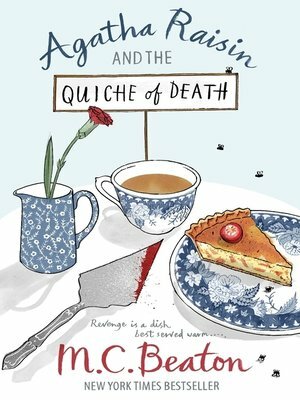 Retired PR boss Agatha Raisin is enjoying life in her pretty Cotswold village of Carsely. It even seems likely that the attractive new vet, Paul Bladen, has taken a shine to her. But before romance can blossom, Paul is killed in an accident with Lord Pendlebury's horse. Only the circumstances are rather suspicious. Agatha decides she must once more play amateur investigator. And this cloud has a silver lining - she can persuade her usually stand-offish neighbour, James Lacey, to become her partner in the quest. As usual, Agatha is quite prepared to rush in, heedless of the lurking menace to both James and herself.